We know the importance of a visual calendar inside Slack. It ranked highest in our feature survey and it’s been a common theme in our daily feedback. So today we’re rolling out two new improvements that help folks see their events in a more visual format. The first improvement focuses on the moment an event has been added to a channel. This is a critical time for event organizers, as your team is most likely to RSVP from this single notification. If the event is soon, Eventbot will display a new “Show In Calendar” button to let folks visually see this event among the existing events in the channel. The new event is visually highlighted (in gold) so it’s clear how it fits into the current calendar. We hope more of your team will use the visual calendar and hopefully boost RSVPs as well. This feature is very much an outcome of the great feedback we’ve been getting and we’d love to hear your suggestions and ideas going forward. The second improvement allows you to pull up the calendar view with a single command /events calendar. 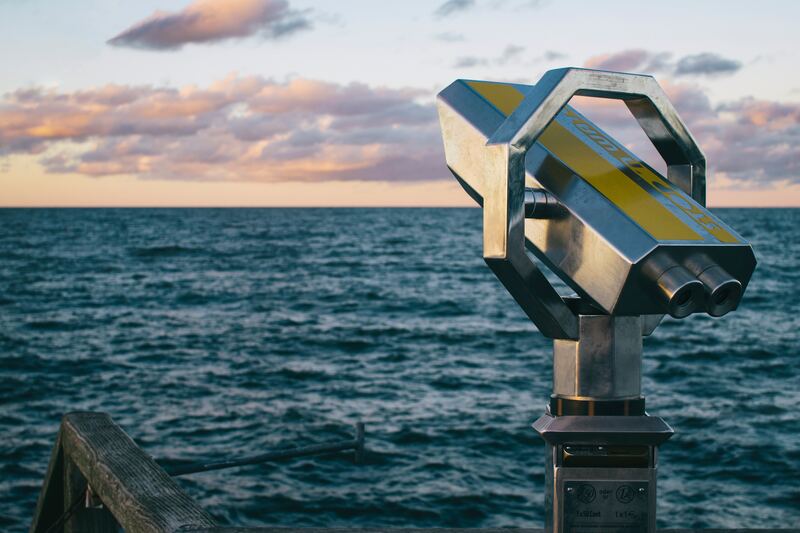 This new command lets you see the visual calendar for your channel faster than before. You can still type /events list and click “Calendar View”, but we wanted to make it even easier to access the visual calendar. Both of these features are available on all plans, including the Free Plan so we hope you try them out. 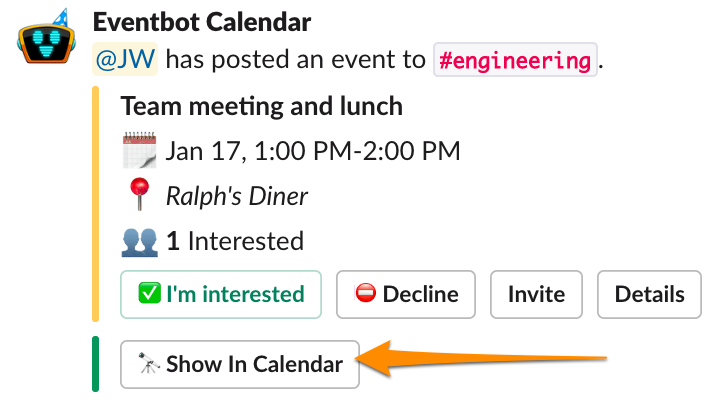 Eventbot is the only calendar app in Slack that can visualize your team’s events inside Slack (without having to click to some website). We’d love to hear how we can make the visual calendar more valuable - so let us know your thoughts!